Come along to learn the ancient geisha inspired art of kanzashi with Cora from Takara Crafts and Collectibles. 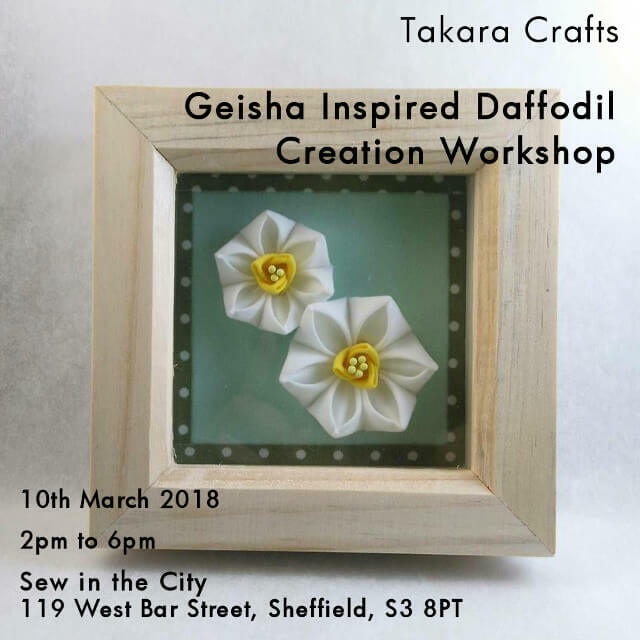 You’ll be guided through the techniques for folding fabric to create two tiny daffodils to be placed in a box frame (7.5cm square) – a bit like origami with fabric! All materials including the box frame are included in the price of the workshop which is £35.